Athletes who have been injured can hardly wait to get back on the field or court. Sports injuries occur for a variety of reasons. They may be the result of a collision or trauma, or they may be the result of prolonged stress and strain. If you’ve been injured, and it’s preventing you from participating in your favorite activity, you could benefit from physical therapy. Whatcom Physical Therapy has been serving athletes in the Northwestern Washington area since 1997. Our team of licensed medical professionals is passionate about helping athletes get back on their feet and on the field. Our treatments aim to assist athletes with preventing injury, so you can avoid the sidelines and stay in the game longer. What kind of sports injuries can physical therapy treat? These are only a few of the injuries with which we can assist athletes. Please view our sports injuries page to discover more about the rehabilitative services we offer. How does physical therapy help treat sports injuries? 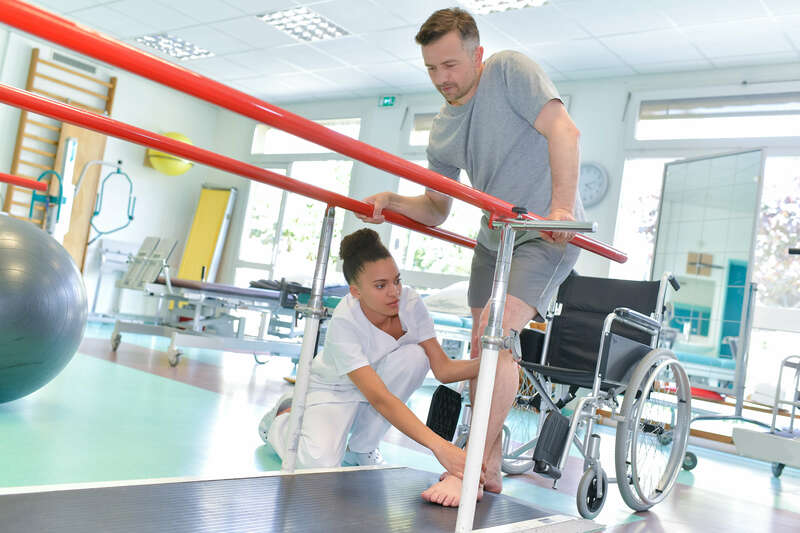 The goal of physical therapy is to strengthen muscles and increase flexibility to get athletes back to their regular levels of independence and activity. Your treatment depends on your injury, condition and overall health and well-being. Are you ready to discover how physical therapy may assist you in your recovery? Contact Whatcom Physical Therapy today to schedule an appointment at one of our clinics in Blaine, Ferndale and Point Roberts, WA.